The Liberal Democrat leader has sacked his health spokeswoman in the House of Lords after comments she made about alleged organ trafficking in Haiti. Jenny Tonge told the Jewish Chronicle there should be an inquiry into claims that Israeli troops sent there after the earthquake were trafficking organs. Nick Clegg said the comments were "wrong, distasteful and provocative" and dismissed her from her post. He said she apologised "unreservedly" for any offence she had caused. The peer is a patron of the news website, the Palestine Telegraph, which printed the allegations. It claimed that members of the Israel Defence Forces (IDF), sent to help with the humanitarian effort after Haiti's devastating quake, were selling human organs. Baroness Tonge told the Jewish Chronicle: "To prevent allegations such as these - which have already been posted on You Tube - going any further, the IDF and the Israeli Medical Association should establish an independent inquiry immediately to clear the names of the team in Haiti." In a statement released on Friday evening, Nick Clegg said the allegations were "highly offensive". "The comments were wrong, distasteful and provocative and I recognise the deep and understandable distress they have caused to the Jewish community," he said. "While I do not believe that Jenny Tonge is anti-semitic or racist, I regard her comments as wholly unacceptable. "Jenny Tonge apologises unreservedly for the offence she has caused." 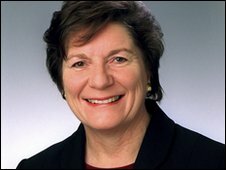 It is not the first time that Baroness Tonge has been dismissed from a party post. In 2004, when she was still an MP, then Lib Dem leader Charles Kennedy asked her to quit as children's spokeswoman following remarks she made about Palestinian suicide bombers. She told a pro-Palestinian lobby group: "If I had to live in that situation - and I say that advisedly - I might just consider becoming one myself." She retired as an MP after the incident, but entered the House of Lords. In 2006, she was reprimanded by Lib Dem whips after saying the party was "probably in the grip" of the pro-Israel lobby.